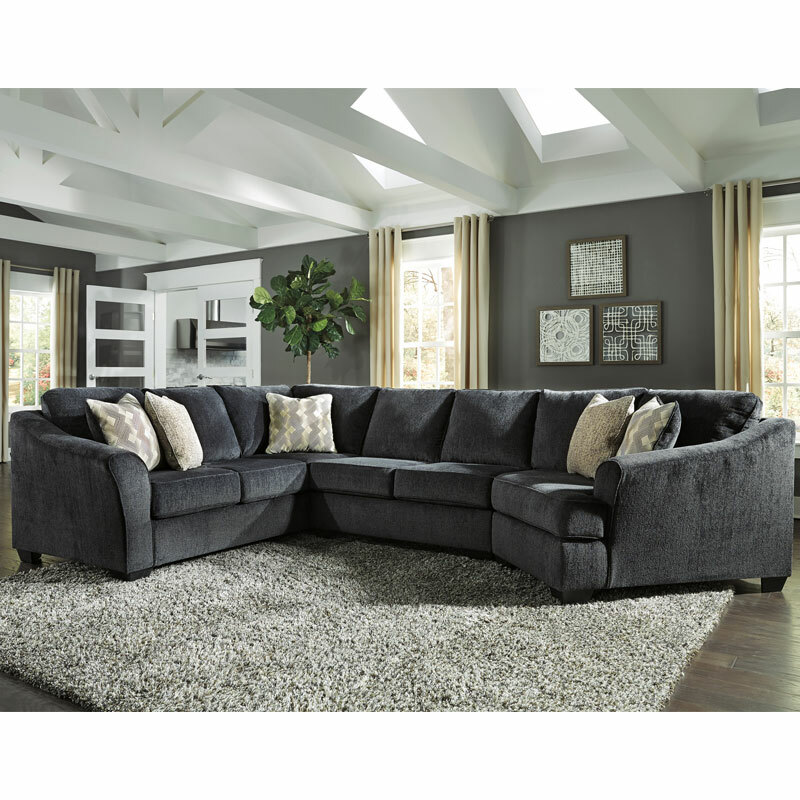 Create your very own cozy corner of the world with the Eltmann 3-piece sectional in slate gray. Uniquely chic components, including an angled cuddler and sofa with corner wedge, redefine how warm and enticing large-scale furniture can be. Wrapped in a plush and textural chenille fabric, this gorgeous gray sectional is richly tailored with sloped, flared arms that enhance the inviting feel and contemporary appeal.